At a moment when the discipline of Canadian art history seems to be in flux and the study of Canadian visual culture is gaining traction outside of art history departments, the authors of Negotiations in a Vacant Lot were asked: is “Canada” – or any other nation – still relevant as a category of inquiry? Is our country simply one of many “vacant lots” where class, gender, race, ethnicity, and sexual orientation interact? What happens to the project of Canadian visual history if we imagine that Canada, as essence, place, nation, or ideal, does not exist? The argument that culture is increasingly used as an economic and socio-political resource resonates strongly with the popular strategies of “urban gurus” such as Richard Florida, and increasingly with government policy. Such strategies both contrast with, but also speak to traditions of Canadian state support for culture that have shaped the national(ist) discipline of Canadian art history. 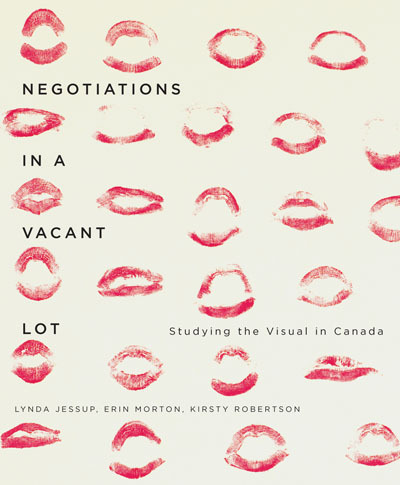 The authors of this collection stand at the multiple points where national culture and globalization collide, however, suggesting that academic investigation of the visual in Canada is contested in ways that cannot be contained by arbitrary borders. Bringing together the work of scholars from diverse backgrounds and illustrated with dozens of works of Canadian art, Negotiations in a Vacant Lot unsettles the way we have used “nation” to examine art and culture and looks ahead to a global future.